Depot of Hope in an informational DVD about UMCOR's relief supply warehouse UMCOR Sager Brown Depot in Baldwin, LA. 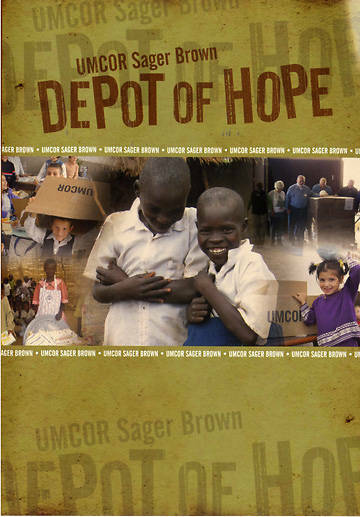 Available for free, the DVD, tells the history of UMCOR Sager Brown and provides additional resources for thoes who want to participate in its ministries. Depot of Hope also has three short instructional videos illustrating how to assemble health, school and layete kits. The DVD also includes instruction sheets for each kit in addition to sewing patterns for layettes and school bags, and information about volunteering at the Baldwin, Louisiana campus.